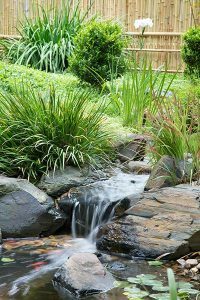 A cascading waterfall, Koi pond or a rocky stream is the perfect accompaniment to a Japanese style garden. Water is probably the most important element of any Japanese style garden. It not only provides a sensory aspect, but also creates a visual space amongst the other elements in the garden. Original Japanese gardens are places of peaceful elegance that create a haven for relaxation. At Ben Harris Gardens, we aspire to capture this grace, calm and sense of stillness in your own exceptional ‘zen’ like garden. The focal points of typical Japanese gardens are the wonderful form of the Japanese maple and the careful placement of beautiful, individually-selected rocks. The positioning of rocks is an artform, requiring much thought – and trial and error. It has been said that rocks can talk, and we have found this to be true. We spend a lot of time placing rocks and listening to them, to see if they are happy. Sometimes they grizzle, so we try a different spot … or a different rock! We take the time to get things right. A Japanese garden is a very personal environment, and is different for everyone. 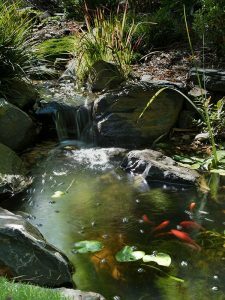 You might prefer a dry garden with only rocks and gravel, a courtyard with a Japanese maple and a stone lantern, or a large stroll garden with a pond or lake with fish, streams and waterfalls, a bridge, maples and bamboo, and stepping stone paths. 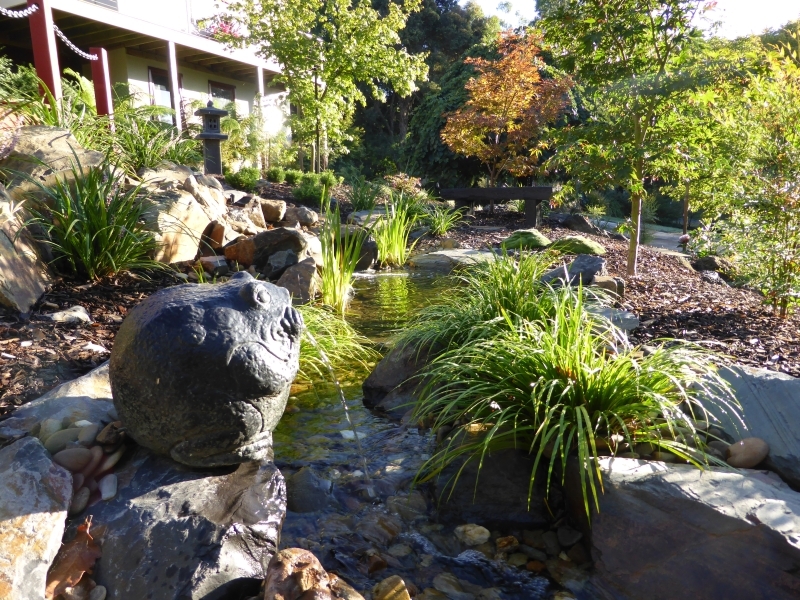 Click here to see and hear the sound of running water in a zen garden.